Adding garden paving slabs and garden pavers to your garden is a great way to enhance the look and feel of your creations. The mixture of stone and concrete, made by the hands of humanity, meshes well with the beauty of plants produced by nature. The benefits of garden paving are enormous. The aesthetic benefits are obvious but no less important – you can frame and highlight the features of your garden that you like, perhaps providing visitors with a path to wander through your landscape. The other benefits are functional – you can provide a path for you to walk through or wheelbarrow through or move materials through that will not get muddy or dirty in any way, preserving the beauty and order of your garden. Every garden paving slab is different, as they come in a variety of sizes and thicknesses. The first major choice you need to make is on the material of the paving slab. Concrete paving slabs are a very popular option, as they are cheaper than others, last long, and look great besides. Others pay extra to get natural stone paving slabs, giving their garden a natural look in the process. There are many different types of stone, from sandstone pavers and bluestone pavers to granite pavers and marble, each with its own benefits and design possibilities. Before you select the material of paving slab, find out the specific properties of the type you’ve picked, as they all will react differently to the elements. While some may lose their fade and their finish over time, others will look ‘new’ longer. Whether or not this is a good thing depends on the look you want for your project. A weathered, aged look could look great in some places but terrible in others, while a new installation can look weird in other projects. It all depends on the specifics of your application. Whatever your tastes, pick the type of slabs that best fit your needs for the garden’s traffic, looks, and design requirements. No matter what you pick, however, you largely won’t go wrong. Installing paving slabs is similar to installing other hardscape materials like paving stones and concrete flags. Many homeowners will benefit from getting these slabs professionally installed, especially if the install area is troublesome in some way. Other homeowners should be able to install them by themselves, however, for only a little work and expense. More information on installing pavers can be found here. Some garden paving slabs are installed like concrete pavers, as they are made to interlock and be compacted close together. These should be installed on an aggregate and sand base like concrete pavers or natural stone pavers would be. Others however could be installed with large gaps in between, gaps to be filled with grass or dirt of some kind. Still others could be installed like stepping stones, with very little connection and much material lying between each slab. The choice is up to you. When installing them in your garden, consider the possibilities for expanding their use to other parts of your yard. For instance, using them in your driveway, backyard patio, walkway, pool deck, and other areas may be a great way to spread your designs further, while also maximizing the efficiency and lowering the cost of installing the hardscaping overall. Note that these slabs can be very big. This is great for installation, as it requires fewer brick to cover a certain area. However, moving these heavy slabs can be challenging for one person, so assistance may be required to safely manipulate the material. Maintenance of these slabs, if they are installed correctly, is quite easy, as they will last many years without serious work. Periodic sealing can help keep them looking new for a long time, and a slab can be easily replaced if it is cracked or stained. Sweeping and washing down with water can help prevent stains and dirt from marring the surface, though sometimes that look may be desired depending on the project. You have many options about the pattern of hardscaping you lay down. Ultimately the pattern options available to you will depend on the sizes and shapes of the paving slabs you select. You can pick more regular patterns, based on regular shapes, or you can pick irregular patterns made up of a variety of shapes or paving slabs that are themselves cut irregularly. A walkway is a great way to lead guests through your garden. If you’d like, use an irregular pattern and put bigger landscape pavers in places where you want people to ‘stop and smell the roses’ – in other words, places where you’d like people to stop and admire your handiwork. You could also consider using garden paving slabs as patio slabs in the middle of your garden. It’s easy to make a fire pit or barbecue too, and even add a waterfall in the area, to complete the look and provide you with a great place to gather and relax. You could also use the paving slabs as a border between different areas of your garden. This can serve both an aesthetic and a functional purpose. The price you’ll pay for the product will depend on a number of factors, most notably if you buy concrete or natural stone pavers, among many other factors that have been well documented on other parts of this website. If concrete is poured to form slabs on site, the price will be still lower, though this will probably require professional installation unless you have experience working with concrete. Interlocking pavers remain durable and new looking even after years of abuse and weather precisely due to the ‘interlocking action’ of the paving stones. Interlocking concrete pavers are designed specifically to leave gaps in between each brick – in other words, they do not sit exactly flush to each other. It is this space, paradoxically, that gives the entire structure its strength as soon as these joints are filled with an appopriate joint material, such as sand. The pavers are laid in a particular pattern (the pattern really is just how the joints are arranged), leaving a bit of space in between each and every paver. Mortar is not used to bind these joints together, as this would destroy the benefits of the sand-interlocked paver. When the sand fills the joints, it helps hold the pavers together in two ways. First, the small pits and holes in the stone interlock pavers through friction. The small gaps ‘join together’ and help the paving stones cohere. The sand also fills these holes, increasing the friction between the pavers even more. Second, the sand itself, when compacted, gets very tight. Thus, not only does the sand help the pavers stick together, it actually helps all the sand stick together as well, as the closely packed grains of sand cannot move without great force (this movement is resisted by friction). When the entire structure is surrounded with edging and compacted, it holds together as a whole even though the paving stones are not directly touching each other across their entire faces. Though concrete pavers are highly recommended for many home projects, they are not the only choice available. One choice is flagstone pavers, made directly out of natural stone. This stone is shaped, cut, and formed into slabs of various shapes and sizes, which are then fit together like a mosaic to cover the specific area. Aesthetically, the flagstone paver installation is quite nice, giving the area a natural look that paving stones can’t quite manage to capture in many cases due to the fact that they are artificially manufactured. This article will give you a brief explanation of this material – its properties, how it is used, and the other features important to know about this expensive material before you use it. While this site focuses mostly on concrete pavers, it does contain some information on natural stone like bluestone, sandstone, and travertine paving. We plan on adding more soon and creating a more extensive collection of info on the various stone types, so come back soon! Anyway – on to the article! 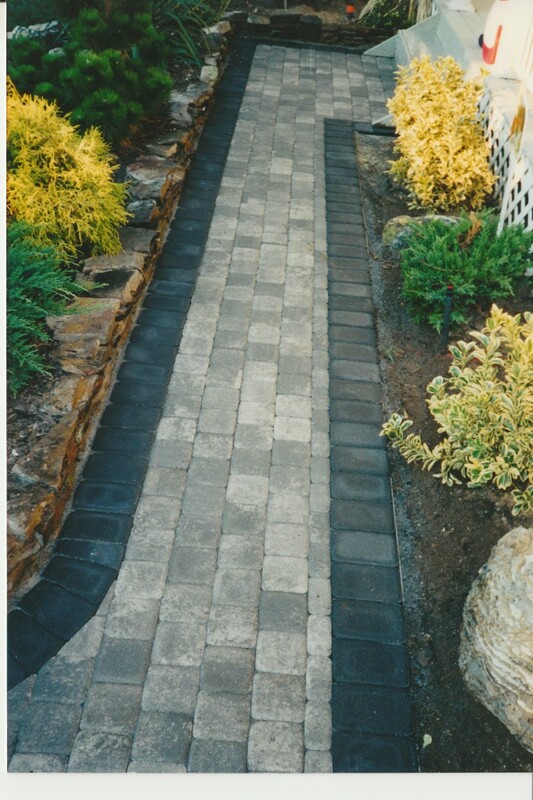 These pavers can be used in a variety of applications. Flagstone patio pavers are one popular use, as are walkways and garden projects. The color schemes are more limited than concrete pavers, because they come from natural sources, but there still are enough color blends to satisfy most homeowner’s uses. The sizes, shapes, and thicknesses of these concrete flagstone pavers will also vary depending on the particular use of the stones. There are a number of advantages of flagstone pavers over their competitors. The installation of these stones is usually quite easy compared to other options, as they can usually be laid right on soil, or with little bedding material required. They are also very strong and durable, withstanding any freezing/thawing cycles or other weather, traffic, or abuse. This makes these pavers very low maintenance and long-lasting. How do you decide between flagstone or concrete pavers? Two factors override all others. The first is budget. If you have less money, you may want to go for concrete pavers, as they can be installed at a lower price per square foot than the natural option. If money is no object, than flagstone pavers may be right for you. The second factor is the particular look or ‘theme’ you want to convey with your project. Flagstone choices generally look more ‘natural’ and ‘earthy’ than manufactured options. These choices may work well with a garden, landscape area, or other place near your home that wants to communicate this natural look. Paving stones, on the other hand, communicate a modern, ‘old-world’ feel that may work better for patios, walkways, driveways, and other projects right near your home. Of course, this all depends on your tastes, so be sure to consult with a local contractor or manufacturer for assistance. Flagstone pavers price is usually more expensive, however, than manufactured options. This is generally true of all natural paving materials, as they cannot be mass produced in the ways that concrete paving stones can. The price will vary on a number of factors, including thickness, size, geography, and quality, but the usual price is between $20-30 a square foot. One popular project for this material is a patio, so let me give you a brief run down of what you might pay for creating a patio out of this material. The flagstone patiocost, or the price of any flagstone installation, will depend on a number of factors. First, as described above, the price of natural stone is higher than manufactured varieties, as the stone must be quarried and cut into the appropriate shapes. In addition, like other hand laid materials like pavers and brick, the labor costs for the installation of these stone projects will be quite high. You can save money by installing them yourself, but ultimately it will probably be better to hire a contractor due to the high level of difficulty. In general, as stated above, the total flagstone cost will vary between $20 to $30 a square foot. Geography and economy. If you are in a cheaper area, your prices will be cheaper. If there is more competition between contractors, the total price will also be lower. How much labor and material you can contribute. The more labor you put into the job, and the more free or reduced price material you can obtain (such as by recycling old material or buying it used), the less the total job will cost per square foot. The actual contractor you hire. You may pay more for quality; paying less may leave you with a finished product that you detest. The brand or type of stone you select. This is an important consideration to think about when you set out to buy flagstone. Not all stone and brands are created equal, varying in quality and durability and style. Pick the type that fits best in your budget and in your aesthetic vision. How much prep work and excavation needs to be done. For instance, if you need an old patio removed, the total flagstone patio cost will be higher than if you had an empty or already prepped area to work with. Design. If you pick a fancier pattern or overall design, the degree of difficulty of the entire project will increase. Picking simpler and easier to install designs will help keep costs down. Listed here is a list of Frequently Asked Questions (FAQ) about pavers and hardscaping – everything from product selection to hardscape maintenance and everything in between. Check back often for new additions. Why should I pick concrete pavers over other choices for my driveway/walkway/patio/etc.? cost-effective over the life of the project. For more information on the pros and cons of pavers versus asphalt, concrete, or stone, see this page. What other materials can I use for my hardscape project? Though concrete pavers are very popular, they are not the only paving material suitable for most hardscapes. In the paver family you can also find brick pavers and natural stone pavers. Within the natural stone family there is even more variation, as you can use flagstone pavers, granite, limestone, sandstone, and much more for your project. In the slab family, there exists asphalt, concrete, and macadam. You can also use loose stone if you want to go a less expensive route. This depends on a large number of factors, most notably which paver manufacturer is available to you. Other important factors include your budget, your design needs (such as the sizes, shapes, and colors of pavers you want to use), and what your contractor usually works with. What are the different ways I can use concrete pavers? There are many different uses for paving stones; the only limit is your imagination! The most popular hardscape ideas include driveway pavers, paver walkway, patio pavers, and pool pavers. Other options include paver steps and stoops, retaining wall pavers, and complements to landscaping. Don’t forget garden pavers and grass pavers, too. Pavers are also installed for commercial clients, and are a great way to increase the beauty and professionalism of your business. What are the patterns and designs I can make? Given the creative properties of concrete paving stones, you have a near limitless selection of possibilities to pursue for your next project. For a more detailed discussion of some of your choices, see these articles on paver patterns and paver designs. They are not as costly as you think. 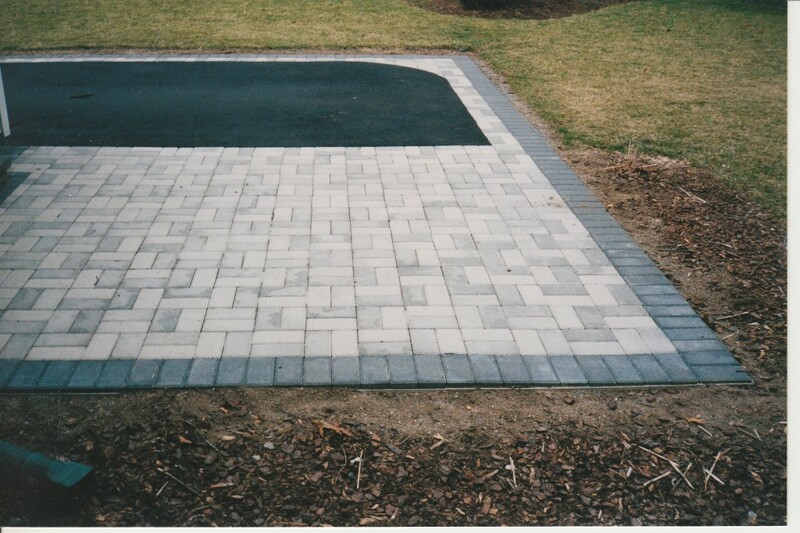 Pavers are installed by hand and do require a lot of preparation and time in order to be laid correctly and solidly. However, the many benefits of hardscapes outway this initial cost. Asphalt, concrete, or stone driveways, for example, need to be replaced as they crack and shift over time. Concrete paver installations, however, stay beautiful and strong for longer periods of time. Plus, investing in hardscaping is an investment in the property value of your home. See this link for a more detailed discussion of pavers cost. How do I save money on my pavers project? The major way to save money on your application is to install it all yourself. Barring this possibility, you could look for pavers for sale to help defray the costs of the materials. Can I make concrete pavers? Absolutely! If you want to know how to make concrete pavers, read this article. In short, find or make some paver molds, mix your concrete, pour it, and let it cure. 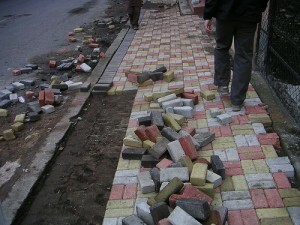 You can make pavers for many projects this way, though it may not be recommended for large scale projects. Who can install paving stones? Most homeowners allow paver contractors, or masons, to come in and do the work. However, many hardscaping projects are well within the skills of some homeowners, such that these pavers can be used in DIY paving projects. See this article for a detailed discussion of paver installation. What is the most important part of my installation? If you are installing the pavers yourself, or even if you are having someone else do the work for you, it’s best to spend most of your effort and attention on the sub-base to the project. If this foundation isn’t secure, the pavers above will not be as strong as they can be. This entails using concrete sand as the bed underneath the pavers and crushed aggregate as the main ingredient for the sub-base. How quickly can I walk on my paver project? As soon as it has been properly edged and compacted with a plate compactor. How much maintenance do I need to do? Very little, actually. You may want to try sealing pavers occasionally with concrete sealer, though this is not required. You will have to clean it occasionally when it gets dirty, and potentially refill some of the joints with sand. Otherwise, the project is near maintenance free. Even if you left it untouched, it would probably last for many decades, assuming it was installed well. What is this white chalky residue on my pavers? This is called efflorescence, and it is totally normal, especially when pavers are laid over a concrete base. This will go away over time, and will not affect the structural integrity of the pavers. How do I remove stains on my pavers? For tips, see this page on stain removal. Will weeds grow in between the pavers? Depending on the joint material used to fill in the cracks between pavers, growth of weeds should be minimal. In the case of weed growth, the simple application of weed killer will help remove any growth. Will any settling of my patio, driveway, or walkway occur? Proper installation of your project should minimize any settling over time. 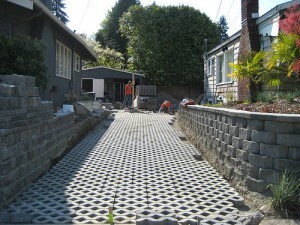 Other factors may be important, however, such as the material on which the pavers are installed. Make sure you find out what your contractor’s policy is with settling. Many offer a one-year warranty against any settling. Can my installation be shoveled, plowed, or salted in the winter? Yes! Shoveling or plowing your walkway, driveway, or patio will not damage your project as long as care is taken. De-icing salts may be used with some brands of concrete pavers, as long as the salts are not used excessively. Check with your contractor or paver manufacturer or supplier for more details about your specific brand. Is there any warranty on my installation? Concrete pavers (also known as paving stones) are interlocking bricks made out of concrete. They can be used to make beautiful and resilient (and near maintenance free) driveways, patios, walkways, or pool decks, among other uses (including commercial applications). Concrete paving stones have a long history, but have only recently become popular in the United States. Old ruins and archaeological finds have shown how ancient civilizations used them (in stone, not concrete form) for roads and pathways. The first concrete pavers made and installed were in Holland in the 1940s – this is where “Holland Stones” get their name today. Concrete pavers are a very durable and robust material. Normal concrete can withstand 2000 pounds per square inch (psi). Paving stones, however, must meet a minimum of 8000 psi, and many exceed this number. Thus, a project made with paving stones will be at least four times as strong and durable as the same project made with concrete. These paving stones are built to last. Interlocking pavers interlock because they are bound to their neighbors very closely. The sides of the pavers are very rough, and get caught with each other. The friction prevents each paver from moving, thus keeping the structure together. Furthemore, the joint sand used in between the pavers increases this friction even further, helping bond the brick together in one interconnected whole. In addition, the pavers are “edged,” which helps keep outward pressure on the whole, maintaining the total friction between the blocks. Thus, pavers combine the best of both worlds – the strength of concrete with the flexibility required to withstand the freeze/thaw cycles and other forces of nature that would otherwise crack slabbed materials like concrete and asphalt. Either installed by the homeowner or by qualified and licensed and insured paver contractors (sometime known as a “mason”), these pavers are laid over a bed of compacted crushed aggregate base and fine (a.k.a. concrete) sand. The base of the project is the most important part; if little time is spent on the underlying foundation, the whole project will suffer. The brick are then filled with sand and compacted one more time. Depending on the size of the project, installation of the pavers can take from one to two days to a week or more. Homeowners with the right skills and tools can also try to install concrete pavers themselves. A DIY paving project can help reduce the cost of the overall paving stone application while ultimately providing the homeowner with a wonderful hardscape creation. How Can Paving Stones Be Used? There are many potential projects for pavers, including driveways, patios, walkways, pool decks, garden and landscape applications, retaining walls, and more. Since the same pavers – colors blends and sizes – can be used for all these projects, homeowners can have a yard that looks professionally planned and created; there’s no need to have a hodge podge of materials dotting your hardscape and landscape! In addition, the wide variety of paver shapes, sizes and colors affords the homeowner many design possibilities. Thus, paving stones go well with nearly any home design and theme, as they are a very versatile and useful material. What Are the Benefits of Paving Stones? Installing concrete pavers in a new backyard patio or pool deck is a great way to increase the quality time spent with friends and family at your own home, potentially saving you travel costs for expensive vacations. They also offer numerous safety benefits – pool pavers, for instance, do not get slippery when wet, making it safe if people walk or run on them during summer play. Paving stone installations also increase the property value of your home, thus also representing an investment in your family’s financial future. For commercial projects, installing paving stones gives businesses a clean, professional, and aesthetically pleasing look – first impressions are important, and paver stones can give a great first impression to customers. Pavers are also relatively maintenance free, especially compared to certain materials options like loose stone and asphalt. Snow removal is quite easy, and sealing pavers occasionally will keep them looking beautiful for many years, though this is not required. In addition, as long as the pavers are well-installed, a paver project should last for many decades. They thus represent a fantastic long-term investment. Paving stones are of moderate cost, usually ranging from $8 to $15 per square foot for materials and installation by a contractor. The pavers cost can be reduced by installing them yourself or by looking for pavers for sale. Many paving stones companies will guarantee their products with a warranty, so hoemowners won’t have to worry about the material cracking or coming apart for a long time. 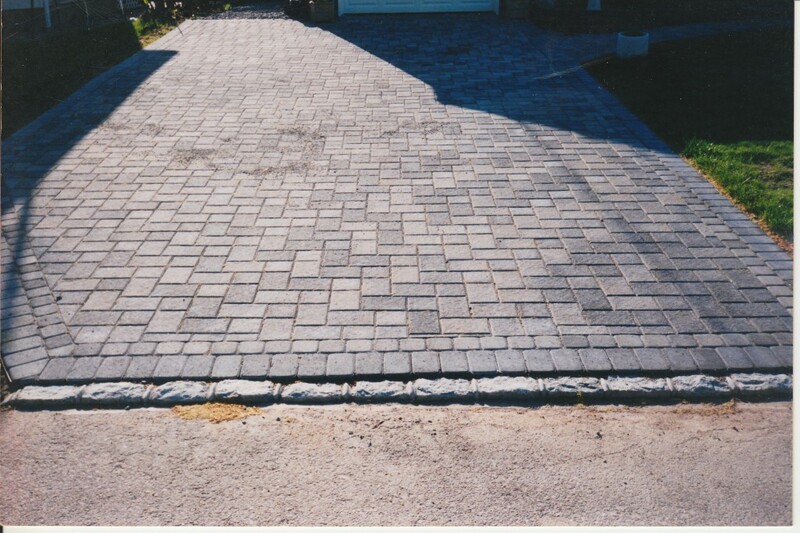 If any damage does occur, the offending pavers can be easily removed and replaced with fresh, undamaged pavers. More information about pavers can be by reading this hardscaping FAQ.